Just like last week I have presented this NPC similar to a monster for ease of use. Some stats might be tweaked to be more how I like it. Like everything on this blog, feel free to change it as you see fit. Len Neeples was a mighty paladin. He didn't always grasp the higher meanings behind religious verses and rules, but he was a good man, who always fought for righteousness and the higher power. He worshiped Torm (or any Lawful Good deity you desire), and always did what he thought was right. Len, like many paladins, spent little time reading holy texts, most of his time was out in the world trying to do good through his actions. Just because Len didn't spend much time reading, didn't mean he didn't ask the big questions in life. He was truly obsessed with the Upper Planes, never quite wrapping his head around how planar travel worked, and what "life" was like after someone on his world died. It was very important to him that the afterlife be a peaceful, idyllic place to contrast the pain and suffering he saw around him in the world of the living. One day, Len Neeples was saving a prince from an evil warlock, when the warlock dropped an amulet. The amulet allowed the user to be transported to another plane, or back to the material world. Not much is known about Len's travels in the Upper Planes, but rumour has it that he traveled to the realm of his god Torm, and met with the dead men and women who worshipped Torm, Tyr, and other goodly gods. These spirits were incredibly fulfilled and at peace living in the presence of their god. Nearly all of them were much happier than they had been in life, for much of the world is filled with poverty and suffering. Something changed in Len. He realized that no matter how much evil he banished across the world, it didn't seem to make the world much better for the average inhabitant. However, every innocent who died would be relieved of their suffering in the afterlife. Len did something that he, nor anyone who ever knew him would have ever suspected, he broke his holy oath. Len entered a small farming village, a celebration was occurring so everyone was gathered in the main hall. The paladin entered the hall, ignoring the cheers and welcoming of the strangers and slaughtered them all. Len believes that by sacrificing his own place in the eternal joy that is the afterlife, he can reduce the amount of suffering in the world, by helping speed souls journey to the next life. Since his paladin powers were lost by breaking his oath, he traded his amulet that allowed him transport to the planes to a fiend, in exchange for unholy powers. Len is a perfect example of someone doing horrible evil, but with the best intentions. He sacrifices the happiness he wanted above all else, to be close to his god in the afterlife, so that he could do what he believes will supply that happiness to the most amount of others. Gossip amongst the fiends says that the fiend who supplies his power, whom he traded the amulet to, isn't allowing the souls to move on to the afterlife. Some foul magic is trapping them in some foul corner of the hellish lower planes. This is likely just rumour, but gods help this fiend if this is true and Len Neeples finds out. On the Sword Coast, in the Forgotten Realms there is a small hill range called the Troll Hills. This adventure was inspired by those hills, but any area in your campaign would work. Besides the characters referring to the locale as "The Trolly Hills" there is no reason it even needs to take place in a hilly region. The only important landmarks are caves and trees. As with all of the Master of Dungeons adventures, please change this as much as you need. This is more of a jumping off point than a set of rules, use it to improvise and (hopefully) inspire. All of the encounters were built for a party of 5 level 5 adventurers in 5th edition D&D. The party is quite strong for their level, and many of these encounters are technically above deadly, however there are not many encounters per day and it is very easy for your players to rest in between. However if things get a little too hairy make sure to dial it back. Particularly when fighting the dinosaurs in the cave. This is knowledge for the DM, and should only be presented to players as they find this out, major spoilers for the adventure. Trolls don't often band together in large groups, but rumour has it that a nearby group of hills is crawling with a large number of them. A group of trolls calling themselves "Da Fightin' Trolls" have dug out a large pit inside of a large cave. They spend their days fighting in vicious tourneys, (usually against other trolls, but they're always excited to find any strong adventurer or monster to test their might against). Their troll regeneration abilities make them particularly well-suited for a fight club, as their wounds heal very quickly, and severed arms, legs, and even heads can be easily be reattached, or grow back if needed. Normally trolls would not have the spare time to spend leisurely severing arms and legs from their fellow trolls, as their substantial appetite and preference for humanoid meat means that most trolls have to spend the majority of their time hunting and ambushing humanoid prey. These trolls have recently been taught more civilized "farming" practices by their caretaker, Ms. Ugly. None of the trolls know how long they've been under the protection and guidance of Ms. Ugly, but they know it has been a very long time. She is a green hag that often disguises herself as an incredibly beautiful elven woman. When she arrived, she saw in the trolls the potential for a personal army. Until meeting her the trolls had spent most of their time raiding small villages and laying ambushes on the nearby highway. Thinking this a waste of time, she taught the trolls how to ensure they always have a steady supply of meat by "farming" it. When a large travelling group of halflings passed by the hills, she saw the opportunity and sent the trolls out to capture them. For generations the halflings have been captives of the trolls, slaughtered for food like animals. These trolls are not particularly evil creatures. They are, however, particularly stupid creatures. Ms. Ugly has convinced them that these brutal "farming" practices have made them civilized, and they think that they are doing a good thing by ceasing their raids on villages and eating of travelers. Their nature means they hunger especially for humanoid meat, and they see this as a very kind way of them to get it. They see the halflings as animals, and treat them as such. One month ago, a group of young halflings, who were all born within the cave, escaped the trolls. They were led by Bart Halthorn, a young halfling with a gift for building machines and contraptions out of anything he can get his hands on. He was able to build some tools to open the cage holding the young halflings, and escaped to a deeper part of the cave. To keep the trolls from coming looking for them and recapturing them, Bart left large footprints to trick the trolls into believing that something big and strong had kidnapped them. The trolls grew to believe that some sort of Scary Super Trolls stole the halflings. Bart built on this belief by creating cut out puppets of trolls that the young halflings used to cast large shadows on the walls of the cave. Tools to make loud noises and flaming javelins convinced the real trolls that the Scary Super Trolls were far too powerful to be messed with. The Trolls slaughtered the remainder of their "animals" believing that the meat would be easier to protect. The halflings are unaware of this, and are preparing a plan to rescue their elders, and seek vengeance on the trolls. The adventure begins as the party reaches side road with a nice stone bridge perpendicular to the highway they are traveling on, going over a steep gorge, entering a hill region known as the Troll Hills. They have been traveling for many uneventful days and are starting to get bored. They hear a voice shouting from the direction of the bridge. "Oy, softskins, ova here why don' ya? Ya's lookin' like ya's in need of a contest, a tourneyment, a fights, ones with a sort of, whatdya call it, Grand Prize? Come ova to me bridge and I'll give ya what ya need ta know"
If the party ignore the voice it shouts louder and louder, calling them cowards, and reiterating that there is a huge reward on the line. The voice continues to call the party forward until they are on the bridge. As soon as anything is placed on the bridge, the stone pressure plate sinks in, similar to a trap. After a few tense seconds a troll head peeks out from under the bridge, the players can only see the head but he must be very large to reach the bridge. Unbeknownst to the players, the troll is only a head, mounted on a spear that swings up whenever someone steps on the bridge, (built by a very clever halfling slave named Bart Halthorn). He attempts to hide this fact. Trolls can often survive after having their head cut off for a short time, but Ms. Ugly's magic was able to keep him alive as only a head indefinitely. The other trolls were annoyed by his constant talking, so they sent him to "guard" the bridge. The troll introduces himself as Heddy, guardian of the bridge to the Trolly Hills. He assures them that he isn't going to ask them some sort of corny riddle, but that he was simply bored, and looking for entrants in the next tourney of Da Fightin' Trolls. Players suspect that he is hiding something from them, and a very easy investigation check will show that Heddy is only a head on a spear. Once they know his secret Heddy is very truthful with them about everything, happy to have someone to talk to again. The only thing he will not tell them about is the "animals" of the trolls being halflings. If anyone inquires as to what sort of animal they are he says he doesn't know, just that they are animals for eating according to Ms. Ugly, which is true. Heddy will mention at some point that Da Fightin' Trolls aren't ordinary trolls, but they're civilized due to Ms. Ugly and learning how to farm. He points them in the direction of the fighting caves, about a four hour walk from the bridge. If asked where Ms. Ugly lives, or any questions about her, he just says she is a person who takes care of the trolls, and she lives in a smaller cave near the fighting cave. He doesn't mention what she looks like, besides saying that she is very ugly, at least to trolls, he doesn't mention that she is a Green Hag, mostly because he doesn't know what that means. In the highly likely event that the party learn that Heddy is nothing but a troll head on a spear, he asks that they take him along, since he has been alone on this bridge for a very long time. If they choose to take him along it is very easy to lift his head up the side of the bridge, bringing the spear with it. Heddy will consider everyone in the party a very good friend of his, and is always nice and as helpful as he can be with his limited knowledge. He is very annoying and doesn't understand when to shut up, even when told to. The party is likely traveling to the cave holding Da Fightin' Trolls, however this section will be the same if they are traveling to meet Ms. Ugly. As they are traveling, it starts to pour rain. They get very cold walking, and tired with the mud sticking to their boots. As they get closer to the caves, trees and other plants begin to look more blighted and dead. The landscape switches from bright green to grey and dark. An angry troll comes running out of the trees, he is shouting gibberish at the top of his lungs so he doesn't surprise them. If Heddy is traveling with the party he mentions that this is a particularly mean troll named Jango. Heddy tries to talk some sense into the troll, saying they are supposed to be civilized trolls now, but it doesn't work. Jango keeps muttering to himself about being tired of farm animals, and he wants to hunt his own meat. Jango tries to kill the party. He is a Troll. Use the variant rule for Jango, and any subsequent troll fights that allows for limbs to be severed by slashing damage. This fight should be fairly easy for your party, if a little long because of his regenerative properties (if they don't realize to use fire or acid damage). Use how well they do during this fight to balance the future encounters. Immediately after the fight with Jango (or instead if you chose to skip that fight) the party notices a quaint forest house. The trees and plants directly around the house are bright green and healthy, unlike the other blighted plants that have been getting worse as the party travels. The rain is picking up even more, and as the party passes it, the door opens and a beautiful elf woman shouts for the party to come in to get out of the rain or they will catch a terrible sickness. The party doesn't know but this woman is the Green Hag Ms. Ugly disguised by illusion magic. In fact, the entire house is an illusion. She serves the adventurers delicious sandwiches, warm tea, and good ale. She is very charismatic and seems very kind-hearted. If asked about what she is doing in the troll hills, she says she has lived here for many years, and the trolls tend to leave her alone. She doesn't go into any more detail than that. Heddy has never seen her before, or heard anything about her, but admits he rarely left the cave before going to the bridge, so there is much he doesn't know about. If there is one or more male party members Ms. Ugly will attempt to sleep with them, taking preference for half-elves, humans, or elves, in that order. If Ms. Ugly sleeps with a member of the party, or if they discover her true identity, she drops the illusion and the party finds themselves sitting in the mud, covered in rain looking at an incredibly ugly Green Hag. Even the green trees around the house turn back to their dead, blighted look. She quickly turns invisible, and escapes to her home, her invisibility as a green hag works in such a way that she can only be tracked by magical means. If she slept with a party member, she becomes pregnant, knowing it immediately, and will give birth to a girl of the race of the father in 6 days, as is the case with hags. She will try to plant the girl with a family in a nearby village, where she will grow up normally until her 13th birthday, where she will try to kill her adoptive parents and join her mother in the troll hills. (Standard hag procreation and child rearing practices). The party may choose to enter Ms. Ugly's cave first after this. After some taunting Ms. Ugly and her two trolls attack. If she thinks she is losing the battle she will turn invisible and try to escape again. She knows when she has been defeated and will leave the troll hills to join her sisters in a forest a few days travel away. She will likely try to take revenge at some point on the party for ruining her plans, likely with the aid of a hag coven, formed by her sisters. Trolls are very afraid of fire. In this cave any damage, through sword, bow, magic or something else, is met with cheers and excitement. But, anything involving fire is met with screams and fear. The entrance to this cave has a large, tacky rug in the center of the opening. A DC 13 perception check will find that this is a trap, or it is obvious if the players lift up part of the rug. There is enough room to walk around it. If the trap is triggered a Dexterity saving throw of 15 is needed to jump out of the way. Players take 3d6 piercing damage as they fall onto the spikes underneath. Around the corner from the entrance are two trolls guarding the door. They immediately attack anyone on sight. They surrender when near death, laugh, and welcome the worthy combatants to Da Fightin' Trolls' cave. Full xp is rewarded as if the trolls died. If any of the trolls die in combat, there are no hard feelings, and Heddy or the surviving troll just laughs it off and continues on their way. After fighting the trolls at the entrance, they follow the cave and come to a big opening with a large pit dug out in the center. There is a tunnel going deeper into the cave from the other side of the room. Half of the pit is covered with a curtain. There are two large treasure chests against the wall outside of the pit. Around twenty to thirty trolls are watching two trolls spar in the pit, cheering and laughing. Heddy points the party to the a big troll who seems to be the leader. His name is Dugdug and he is very excited to have strangers to join in the festivities. He mentions that most fights are usually one on one, troll against troll, but since they seem like a group that fights better as a team, he has a better idea. He wants them to try the ultimate challenge, and if they win they will receive an amazing prize. He won't explain what the challenge is except to say it's a fight in the pit. Assuming the party agrees to the challenge, ( if they don't they are teased relentlessly, called plant eaters, and spat on) they are instructed to climb down into the pit, and defeat whatever monsters come at them. A rope is pulled from under the curtained part of the pit, and the party can hear two cages being opened, and some growling. Two Allosaurus and two Anklyosaurus dinosaurs run out of the curtain. All of the trolls hoot and holler. If no one remembered to leave Heddy outside of the pit before the fight he complains relentlessly that he has no business being here. This is a good opportunity to practice roleplaying during combat. If the adventurers seem to be faring well against the four dinosaurs, when they are dead or getting close to death the lead troll pulls a second rope and another cage swings open. An incredibly loud roar is heard through the cave. After one round, a Tyrannosaurus Rex throw off the curtain, and joins the fight against the players. The trolls are working themselves into a frenzy by this point. Cheering any amazing moves the party pulls, clearly hoping the dinosaurs will lose, even if that means they lose their most prized pets. The pets were received by sending raiding parties into the underdark, when they were bored between fights, and looking for new monsters to fight against. They'd found them as eggs and Ms. Ugly had helped them to raise them. If the adventurers survive, they are slapped on the back and cheered for by everyone in the cave. They are awarded the titles: Honorary Troll, and Troll-friend, and told they are welcome in the cave any time. Dugdug asks them if they'd like the amazing, valuable prize first, or the boring no-fun prize first. Regardless of what they pick, they get both. Trolls have a slightly warped view of what is valuable. Valuable Prize: 50 pounds of "animal" meat. This is all they have left, they absolutely insist the party take it, and refuse to let them give it back. At least they don't force anyone to eat it. It is obvious to anyone who looks at it that something is off about this meat, if asked Dugdug explains that their animals were halflings. After the fighting, Dugdug discusses the Scary Super Trolls, explaining how they stole their "animals", and they are so scary no one has ever seen one face to face and survived. He explains how they use fire as their main weapon, which is strange for a troll. The players at this point have no reason to believe that they are the escaped halflings, but they might suspect that they aren't trolls. Dugdug asks them to go drive them off, since the party is so powerful, and they are friends of trolls. If the party decides to leave, perhaps because they've learned the trolls were farming halflings, have this encounter occur outside of the cave. The party is pointed deeper into the cave, loud noises are heard. Shouting is heard, and large shadows of trolls appear on the walls as they get closer. If the party keeps walking Bart Halthorn steps out from the darkness and asks the party what they are doing in this cave. Bart explains how he led the young halflings to escape, how they were all raised in captivity by the trolls, his skill with building things that kept them safe from a counter attack. How the young halflings have been planning their next attack, to save the older halflings. He doesn't know yet that all of the halflings left with the trolls have been slaughtered, and their remains are likely carved up in a bag held by the party. If the party has Heddy with them, Bart demands they hand him over to pay for his crimes, and the crimes of his people. Heddy is very confused by all of this talk, and what the "animals" are doing but he begs for his friends to not hand him over. If Heddy is handed over, Bart stabs a small knife into his eye, then hands him to one of the others, telling him to "make sure this one dies slowly, he will be our first act of revenge, make it memorable". Bart wants the party to help them get their revenge on the trolls. He is especially vocal if he finds out that the elders are all dead. He explains that they've got a way to get revenge against the trolls all at once, that he needs the party to convince the trolls that the "Scary Super Trolls" are coming, and to all hide in the fighting pit. He says the halflings will take care of the rest. The halflings have no valuables and are able to offer no reward. Both the trolls and the halflings likely seem reprehensible to the players. If the trolls are convinced to enter the pit, the halflings sneak in and place a cover on the pit that traps them inside like a cage. They poke at the trolls with flaming spears and try to slowly burn them to death. Bart reminds them to not kill them all because they need some to torture. This is probably a pretty strange adventure. It doesn't end with a lot of resolution, and is designed to leave the adventurers wondering if they did the right thing, and whether they could have stopped this. Your party will likely think of things I haven't covered, do whatever feels right and what you think the NPCs would do. Let me know how it goes, or if this inspires you to do anything similar. If there is one things players love almost as much as strong magic items, its pet companions. Pet companions often come in two varieties, vanity and combat. Vanity pets are for roleplay purposes and flavour only, where combat obviously includes pets that are of value in battle. I tend to prefer vanity pets for my players, it is easiest to balance, and muddles things up less. This roll table is definitely slanted towards pets that are in the vanity category, but I haven't labelled any of them. It is up to you as a DM, and up to how creative your players are, to see if they can be of use in battle. Certain classes, like rangers, will be able to take advantage of pets in battle better than others. The players in my campaign currently have a dragon wyrmling in their care, (dragons are arguable more of a companion or adopted child than a pet but I'll count them as a pet for our purposes today) I try to roleplay the dragon in a way that he isn't a reliable combat companion, for balance purposes. Unlike our previous roll tables, this roll table is in an order. The higher the number, the more valuable or rare the pet is. This will allow you to use some sort of luck modifier, or aid in manual selection. The goal of this table was to pick a pet that the adventurers, or a specific player stumble upon, and it has a chance to become attached to them. Perhaps the animal was orphaned or escaped from a travelling exotic animal trader. The players hear some rustling in nearby trees, they look in, and you roll a d20 on the following table to determine the animal. Every animal is a newborn baby when found. If the players put in effort they can easily bond with the animal. I make no promises that the creatures found in this table will not unbalance your party, but keep in mind that most of them would require many years before they reached their full potential in some sort of combat situation. Most adventurers would also lack the skills to properly train the animals to attack on command. 1-4: Common dog breed determined by DM. 8 Big Cat - Roll a d6. *DM should be careful handing out these creatures as they may grow to be very powerful. Since the players receive them as babies it may take many years for them to fully mature. One of the most important things Dungeon Masters should be incorporating into their campaigns, is one of the easiest to overlook. I'll admit I often struggle to work these into my campaigns, but if you succeed the rewards in terms of immersion, and player interest, are huge. I'm talking of course about Recurring NPCs. Minor characters, that appear from time to time in the campaign. I'm not talking about the librarian from which the party collects a powerful scroll for a quest, or the mayor who hires the adventurers to slay a foul beast. Although these are NPCs they don't necessarily make a great recurring NPC. Think of your favorite TV shows, there is usually a few main characters, those who show up in nearly every single episode, but there are some that show up sporadically, a handful of times a season. These are your recurring NPCs. Nothing drives home to your players that they are playing in a real, immersive world, more than having friends, acquaintances, and allies, that exist outside of the player characters. A favorite barkeep who swaps stories with them, a merchant who is willing to cut them a deal and give them any leads to valuable hordes, a noble or thief who has taken a liking to them, these are the characters that will make your players invested in your world. Another thing recurring NPCs can be good for is driving roleplay opportunities for players who need the extra push. If you have a player who is a little shy around the table, or letting the louder voices take a tad too much of the spotlight, a recurring NPC that is friends only with their character could be a good option. When your party comes into a town, the NPC could seek out their character, and take a liking to them, while distancing themselves from the others in the party. This NPC could be a source of valuable information, giving the shy player his chance to shine. If you've seen Star Trek: The Next Generation, there is a character on it named Q that is a great template for a recurring NPC. Q is a powerful god-like alien who can appear whenever he wants, and leave just as easily. He is incredibly powerful, and prone to boredom. In Dungeons and Dragons, a powerful demigod, fiend, angel, planewalker, or wizard could be similar. Coming and going when your players least expect it, often leaving situations messier than they were before. Perhaps offering clues, or items to assist them when they really need it. Other good ideas for recurring NPCs are: mysterious traveling merchant, shows up when and where he is least expected with strange curiosities for sale, a retired wizard who knows most of the lore of the land and will continue to tell stories to anyone who will listen, or a prince attempting to pass himself off as a commoner in order to connect better with his people. Recurring NPCs are a great way to keep your players invested. You'll find that they wonder how world events affect their favourites, and try to meet up with them when they're in the area. Create NPCs wherever your players go and make small note to yourself, and if your players return try to expand upon that character. Since player characters are prone to moving around frequently, think about having powerful recurring NPCs that can teleport or appear when least expected. Lastly, minor NPCs can often be turned into major NPCs in a later adventure or campaign. This makes your players far more invested in the story. Many beings across the realms have heard of magical books in which a message quilled in one copy of the book, will appear, stroke for stroke, in the brother copy of the book. These books are a rather pedestrian invention, undoubtedly invented by some boring material world wizard who doesn't have a creative bone in his body. Everyone has heard of them so I'm not going to waste any time writing about them. Signal Tomes, also known as Sig-Tomes or S.T. are much more interesting. No prime worlder is going to think of something like this. This was invented right here in Outland, in Sigil of course, where else? Whereas the common variety magic tomes allow communication in both directions of a grouped pair, Sig-Tomes are a distinctly one-way dialogue. The way these Signal Tomes work is pretty simple. Every book has a unique crest on the front, a small stamp fashioned in the shape of this crest can be fashioned, when this stamp is used on the top of a page in another's book, that page will forever be listening for the broadcast of the crest's original book. Your eyes just glazed over there for a bit, you don't get it do you? Alright, so you can go pay certain merchants, planewalkers, wizards and information dealers to stamp your book with the crest of broadcasters from the area. From them on, no matter your location in the multiverse, any broadcast made will show up in your book. It's a great way to stay informed on the goings on in the realms. Some broadcasters even make a fortune in royalties from the sale of their stamp if they get popular enough. In my own book I've got the first few pages reserved for gossip amongst the different traders in sigil, a newsman by the name of z'ofdun runs that channel. Then I've got assorted pages for market price updates for rare books, spotlights on famous magic dealers (gotta keep up with the competition), and a very humorous djinni who's broadcast keeps me up to date with the latest news from the elemental planes. These books have been popular for eons in the planes, but they've recently started appearing in the material realm. Some enterprising cragger has done what I should have done ages ago, brought a caravan to the prime and started hawkin' them to any soft-body with silver in his pocket and the ability to read (a disturbingly uncommon combination on many spheres of the material plane). Since they've appeared on the prime I've heard tell of new broadcasters from powerful wizards, warlocks, retired planewalkers and the like. I've even heard tell of a rich king broadcasting from his castle to keep peasants, soldiers, and expatriates in the loop about the goings on of his royal court. The books, although commonplace in the outer planes aren't yet well-known on the material plane. If you can get your hands on one I'd highly recommend it, not only is it a great way to stay informed on the latest news, magical advances and gossip, but it can be a great way for adventurers to find leads to, well adventures or whatever the Abyss you craggers do. This post contains spoilers for Hoard of the Dragon Queen. The first session we had followed the first act of the book very closely, so I'm not going to discuss that much here. Check out last weeks Chapter 0 to see a basic introduction of the player characters. Arromar could hardly believe his luck. Three days ago he had been just another worthless tiefling. He didn't exactly go unnoticed, his red skin, small horns and long tail prevented that. He didn't just want to be noticed, he wanted fame. Bard college had ended months ago, lute playing, poetry, storytelling, they were all in Arromar's repertoire now. His problem was that he didn't have anything to sing about, no stories to tell or poems to write. Yes, there were the same old stories of dwarven kings reclaiming their mountain throne, and fat halflings realizing their true potential for thievery, but tavern patrons had heard them all before. Arromar didn't want to be another two-bit entertainer playing for his dinner to a bunch of drunks more interested in the skirts of the waitresses than the cleverness of his rhymes. He wanted, he needed, to be more than that. 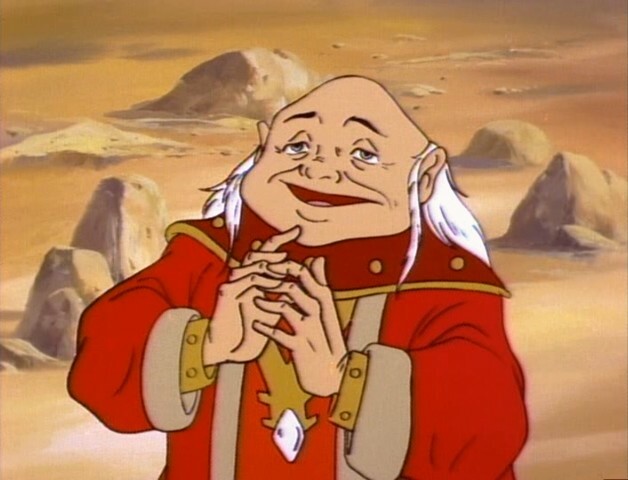 Now, three days later, he was on the road with a motley crew consisting of two half-orcs, a race even more discriminated against than tieflings, a contemplative gnome, whom Arromar suspected was eating the mushrooms from his knapsack for a reason other than sustenance, and a brash half-elf paladin, who has seemed to take the position of leader. Each of the traveling companions wasn't sure what to think of the others, having been in each other's company for just over a day. Arromar found it hard to believe it had been just one day. They'd found each other on the road, had a minor dispute about whether Feng, the incredibly strong, barbaric half-orc that the paladin Varis had been transporting in a cage, belong in a cage just on account of his race. That dispute was barely mended when they'd come upon the small farming village of Greenest. Fire and smoke made visibility poor, but they still managed to make out a blue dragon, assaulting the minor keep in the center of the village. The five of them, eager to make a name for themselves as adventurers had rushed into town. Kobolds and men in strange red robes were everywhere, but seemed to pay them little notice. They rescued a family with three teenage daughters from a bakery, and two young boys hiding in a stable. It all happened so fast, without having time to second-guess the likely foolhardy decision, they'd run towards the center of town, bringing their rescued victims to the very keep they'd seen assaulted by the dragon. The mayor had mentioned some sort of plan, but to Arromar, it looked like all hope was lost. Alric, one of the half-orcs, and Varis went up to the roof to shoot their arrows at the dragon, which turned out to be a pointless waste of arrows. Perhaps the dragon had been growing bored of the siege, or perhaps he was incredibly sensitive, but when Arromar, not knowing what else to do, had started to play his lute and improvise rhyming couplets teasing the dragon with childish, schoolyard insults, the dragon flew away. The mayor and townspeople had declared Arromar a hero, cheering his name. This was why he went to bard college. Although the five of them were treated as heroes, the night ended badly for Greenest. The majority of villagers were killed in the raid, and all of the town's valuables had been hauled away in big, wooden carts. The attackers, which they later found out to be dragon cultists, had left town towards the rising sun in the east. Now they were tracking them, turns out Alric, the half-orc, was some sort of woodland ranger, and knew his way around the wilderness. Arromar couldn't believe they were willingly going towards such a large force, but whenever his fears came close to overcoming him, he'd think of the songs that would be sung about them. The songs he would sing about them. He kept marching, they were getting close. They'd sneak into the camp, blending in amongst the chaos, and figure out why Greenest had been attacked. Saturday Grab Bag, the post we use each week to post whatever doesn't really fit into any of the other series. 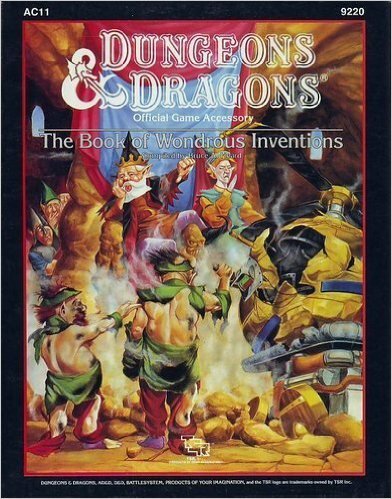 Coming soon we might should have some review items coming on Saturday's, I've purchased physical and digital copies of some classic Dungeons and Dragons books from previous editions (mostly 2nd Edition). I've kept my eye out mostly for books with very little in the way of stats and rules, and more of a focus on fluff. Two books I'm very excited for are Dungeons and Dragons: The Book of Wondrous Invention, and The Planeswalker's Handbook. The Book of Wondrous Invention I hope to use for inspiration for future Non-Combat Magical Item entries, whiel the Planeswalker's Handbook will come in handy because my players seem to be getting interested in planar travel. Both books place a heavy emphasis on lore and ideas, over rules and stat blocks from what I've seen so far, which is exactly what I'm looking for. Plenty to come in the future, but for today I'm going to talk about three online tools that will make you a better DM. If you aren't using these tools already you need to start. First up is Goblinist RPG Tools. This tool does a great job when you need an encounter for a specific setting and difficulty level, and you need it now. Simply fill in some simple data, and tap away on that "Generate Encounter" button until you see something you like. One nice feature is the Seed Monster dropdown. This allows you to select a monster on which to base the encounter. Recently I was trying to whip together a quick adventure involving trolls, I didn't want to spend much time creating encounters, so I played around with this tool, with troll as the seed monster, and was able to get level-appropriate encounters involving trolls, and other related monsters like goblins as well. Did you like the previous entry, but wish you had a little more control? Then Kobold Fight Club is for you! This nifty tool lets you search through all fifth edition monsters, and generate or manually create encounters. This tool is great for when I want to create an encounter, but I don't want to add up all of the XP values, multiply by the relevant multiplier in the Dungeon Master's Guide based on the number of enemies, and then compare to the level-specific XP budgets. This tool takes care of all of that for you. I saved the best for last. This isn't one specific tool, but a collection of amazing tools that will definitely help you with your games. Not only that, but this tool, unlike the previous two, isn't just for fifth edition, but has tools for many different editions, as well as more system-agnostic tools. Donjon is simply the best place to go for random generators. Treasure, encounters, NPCs, weather, magic items, shops, even dungeons. These can all be generated by this amazing website. Fun bonus: many of the lines can be swapped without re-rolling the whole generator by clicking on the line. That's all for this week. Let me know in the comments if you have any tools that you like to use that I missed. For the first NPC of the week, we have a character that some of you may have seen in last week's Saturday Grab Bag, about Torm's Holy Arena. Jed Cornhusk. I built Jed as I would a player character, but I've presented his stats like a monster for ease of use. I'll show his stats first and then we can go into Jed's motivation and personality. Jed Cornhusk is the equivalent of a level 6 fighter. He doesn't believe in the use of weapons or magic, he greatly prefers to run into combat, grapple (or "wrassle" as he refers to it) any enemies. Once he has an enemy grappled, he proceeds to punch them in the face until they pass out, surrender, or die. Mr. Cornhusk was born in the swampy wilderness, far from civilization. Raised by his seven older brothers, he had to quickly learn how to defend himself. He doesn't have much in the way of book smarts, but he makes up for it by being great in a bar fight, or wrestling ring. His hobbies include: wrestling alligators, bar fights, wrestling orcs, tavern brawls, wrestling goblins, and tap dancing. He speaks with a heavy southern drawl, and is dismissed (probably rightfully so) by many to be an ignorant hick. Jed's most defining qualities are also his worst. He believes that humans are the only goodly race, and that elves, halflings, dwarves, and all of the other races are just as bad as orcs and goblins. He will discuss openly how humans are better than all other races, which would get him into trouble if he wasn't such a fantastic wrestler. The only thing Jed hates more than a non-human, is a half-human. Half-orcs, half-elves, tieflings and anything with mixed human blood makes him incredibly angry. He starts to go off about race-traitors and mudbloods. Jed is a sorry excuse for a human, but he is Master of Dungeons NPC of the Week. Let me know in the comments if you use him in any of your campaigns, or any adaptation of him. One idea I had that didn't make it into this week's post, was to multiclass Jed into a rogue. He currently doesn't do much damage, but he hits very consistently, especially with his high attack modifier, and advantage from grappling. Since he can get advantage so easily, the sneak attack from a rogue would be very beneficial. This week's Thursday Adventure Idea is quite small. Inspiration for any DM's looking for a fun campaign hook, or a quick adventure. Let me know in the comments if you end up running something like this, or if it inspires anything in you, I'd be excited to hear it. Some DMs love making incredibly detailed maps for their players. Some hate it. Many in both groups don't know when to provide players with maps, and what sort of geographic information should be fed to the players, and when. This quest is an interesting take on how to deal with that. Your players, during downtime at some established port or trade city, are approached by an entrepreneur named Kurnwell Sixpenny. It has been discovered that current maps aren't very accurate, and it's time for an update. Magic calamities, new towns, raiding monsters, geological shifting, and wars could all have contributed to the maps falling out of date. Kurnwell will pay handsomely for the adventurers to explore the area, in the company of his cartographer assistant. Basic census records are to be taken from any inhabitants, monsters are to be spotted (or their heads returned for a small reward, to be placed in the local academy along with the new maps). This task can take any amount of time, or cover any size of area, that fits your campaign. You can either handwave the map making, or you can have one of your players actually record what they encounter, and attempt to draw it into a map. If you are playing in an existing campaign setting, feel free to make it your own in this way, maps are drawn by hand and many of them may be hundreds of years old, and incredibly out of date. Forest sizes may have changed, new caves and lakes may have appeared. This is a magical world, and the geography may change must faster than the real world. Mad wizards may create or destroy mountains, entire villages may have been wiped out by barbarians. Cartography is a fun idea for a campaign. It can cover a very large area and take years if necessary. Ocean travel can be added to spice things up. Local villages might ask for help with a small monster or raider problem before handing over census information. Kurnwell Sixpenny will pay the adventurers what he promised. What they don't know is that he will take full credit, making himself the protagonist of all of their adventures. Along with the maps he will attempt to release a best-selling book chronicling his heroic adventures. The money he stands to make from the map, any monster trophies, census information, and book sales is many times that of which the adventurers were paid, not to speak of the immense fame, and opportunities for public speaking engagements that he will have for the rest of his life. Sixpenny hid in his small apartment, reading cheap adventure novels, while the players made his maps. This is the first post of our new Post Schedule, and its a Roll Table. This roll table is for when your party is traveling through the countryside and you need some sort of encounter or situation to throw at them. This is a d10 roll, because I think d20 is a little big for a weekly roll table, since most of the rows won't even be used. 1 Douglas, a Troll hiding under a bridge, demands that anyone who wishes to cross must first answer a riddle. Those who cannot answer, will be eaten. The riddle is: "In the night, when no one sees, what comes out from this bridge and pees?" The answer is a troll, or himself. He is quite amazed if anyone says the correct answer, and begrudgingly lets them and any companions go freely. 2 A frog sits in the middle of the road. When anyone approaches, it says: "I've been cursed! I beseech you, I seek a kiss from any of you. One kiss and I shall transform into my true form, a beautiful [prince/princess]". If kissed the frog does indeed transform, but into the noble heir to a faraway lizardfolk kingdom. 3 One owlbear, five giant owls, and three brown bears stand in a triangle. After a few minutes of intense staring, each species tries to kill the others. Any creatures who notice any observers will turn and attack with a crazed blood-lust. 4 Copies of the Player Characters approach on the road from the opposite direction. They've accidentally stepped through a portal from the Meer Universe (View the previous post for more inspiration on creating a Meer Universe party). Each copy is the polar opposite in at least one characteristic (motivation, bond, alignment). They may choose to destroy the party, be frightened of them, investigate or many other things, but certainly will react differently than the players. Their stats are the same as the players'. 5 Smoke pillars off in the distance, indicating a large forest fire deep in a thick, dark woods. If any kind strangers choose to investigate they may stumble upon a village of wood elves struggling to save all of their children and belongs, an elderly forest gnome stuck under a burning, fallen tree, or countless animals trying to survive. 6 Three gnomes in a long jacket trying desperately to pass themselves off as one normal human man stand in the distance. A very easy perception check discovers their true nature. They are standing in the middle of a field, somewhat near a road, swaying back and forth trying to keep their balance. 7 Cheering and whistling is heard from the other side of a small hill that runs along the road. On the other side of the hill is a small pond. On the side of the pond are three young children, two boys and a girl. The children all have tattered clothes, tangled hair, missing teeth, and giant smiles. They're watching a fat older man, their father, wrestle two large alligators in the pond. 8 Three brothers lead ten men and ten women of various races, all chain-bound and gagged. If asked the brothers say this is a prisoner transfer between towns. In reality, they are slavers transporting their cargo. 9 The area under the exposed roots of a nearby tree seems to glow with a golden glow. If anyone touches or investigates it, they will discover that it is a doorway to the Feywild, or a similar plane. This door is permanent, stable in both directions, and known by very few. 10 Bartholomew's Traveling Circus passes in the opposite direction. Strange animals, scary freaks, jugglers, clowns and other performers stare from their positions on horses, the roof, or out of windows. None of them say a word. I'm currently running my table through the Hoard of the Dragon Queen , a published official D&D 5e adventure. Many people have said good or bad things about this campaign. I think it can be good if the DM is willing to improvise and make major changes. I think it is still worth picking up, especially as inspiration, and for the pre-made dungeons, characters, and encounters, that can easily be plugged into your own. Future posts for these Session Stories will contain spoilers for Hoard of the Dragon Queen, however this post will just be an introduction. Here are the members of The Dragon Riders. Although they weren't called this from the start. Cogglescod - Gnome Druid - Known as Cog for short, this gnome gave up the tinkering life of most of his family in exchange for quiet solitude in nature, taking care of the balance of things. One day he was meditating and saw great fire and turmoil. He sought to find civilization to see what these things could mean, when he met Alric. He was traveling through the woods when he found a small raccoon trapped and dying. He rescued it, just before Alric appeared and demanded him to leave his traps alone. Cog explained his vision, and asked for help finding out what it meant, for he didn't know much about communicating in civilized society. This has been a very basic introduction to these characters. For those of you who have played Hoard of The Dragon Queen and are hesitant to keep reading because you know the story, keep with me. Things go quite off the rails in future sessions. Well we have finalized the 1st edition of our posting schedule here at Master of Dungeons blog. It's very aggresive, featuring at least some type of new content every single day of the week. We may have to pull back on that, but let's give it a try. Before we get started I'd like to plug the official blog Twitter account @MasterODungeons as well as the official Google Plus account +MasterOfDungeons. Please follow for new posts and share us with your friends. Now that that's out of the way, here's the schedule. Sunday Session Stories - This will be stories from actual games of RPGs. Mostly my games, which are 5th edition Dungeons and Dragons. Tomorrow is a bonus post showing the introduction of the characters that will be talked about on Sunday. Anyone who has their own stories can message either of the Social Media accounts posted above, we would love guest story submissions. Wednesday Roll Table - Everyone loves roll tables. The first roll table on this blog was Who is Sitting at the Next Table in the Tavern? This is the first installment of DM Quick Tips, a series devoted to short tips that can help you become the Dungeon Master that your players deserve. Too often when combat starts all pretense of roleplaying goes out the window. Sometimes it's difficult to continue the immersive experience when we're busy calculating AC and rolling dice. But there are a few small things you can do to keep the flavour up, while still moving combat along at a healthy pace. One of the interesting things about spells in D&D is that many of them are shared across classes. During combat when a player casts thunderwave they're far more likely to just tell you they're casting it, who they're targeting, and what they rolled. After all it's the DM's job to describe things, right? Yes and no. Its important to impress upon your players that they can flavour their own characters. Maybe a wizard does a particular flourish with his wand whenever he casts an electrical spell, maybe his hair starts to stand up on its ends. I'm also an advocate for different classes using the same spells in completely different ways. While a druid who casts thunderwave may cause a loud roar of thunder to come out of seemingly nowhere when he taps his staff against the ground, a bard might play loudly on his lute, and the sound waves propel enemies away from him in the exact same manner as thunderwave. In this way a character watching the two spells might think they are two completely different spells. This flavour can be provided by the player, but I find it's good to help them get started by at least describing the spell based on their class, without just saying the name of the spell. Then in the future they may be more likely to flavour it themselves. Other spells that are good to flavor are utility spells like comprehend languages. A more traditional spellcaster might commune with spirits or point at a foreign book with their wand and have the letters rearrange themselves. However, a bard might be somewhat less magical. The bard might flip through dozens of books on languages that he studied in his bard college, aided of course with his inherent bard ability he's able to decipher the text. Remember that Classic Star Trek episode with evil Spock and his goatee? That was awesome. Lets steal it and make an adventure out of it. Since this is my first adventure, quest, or campaign for this blog I'm still working out the format that I will use. I'm sure many things will vary from post to post, but in many cases my adventures won't be detailed like you would find in a published book. There won't be maps or detailed combat encounters. The lack of maps is because I'm doing this for free. The encounters will be missing because I want to keep this blog as system/edition agnostic as possible and I want any of the ideas posted here to be viable for groups of a variety of different levels. Again I'm not going into a ton of detail here, because this is mostly an idea. I'm sure many DMs will be able to tweak this until it fits their needs, but if you have any questions, or want to mention how this worked for you, please leave a comment. I'm going to create the universe of Meer (Mirror, get it?!) as the setting and focus of this adventure. It will be a plane of existence similar to the Shadowfell or the Feywild. Sort of a copy of the material realm, but twisted to a theme. The Mirror universe in Star Trek was a more rough and rugged version of the primary universe. I think that will work for our scenario. Travel to and from the Meer should be similar to the Feywild, magic and all of the existing forms of planar travel should work, but the way most travel between the worlds will happen is through portals, weak points between the planes. I think a great way to enter the plane would be to have the players stumble upon some laboratory or keep in the middle of nowhere, in it there would be a room covered with mirrors, something strange can happen, and when they come out they are in the Meer. It might be a fun idea to have your players not even realize at first that they've been transported anywhere. One idea I've had is to have the Meer be a fairly new plane of existence. Maybe some powerful god or wizard did something wrong and created a twisted clone of the world. This would explain why no one has really heard of it, as well as explain why there aren't evil versions of everyone walking around. My favorite thing about the Mirror universe in Star Trek was seeing a second version of my favorite characters. The Meer should be no different. There could be "evil" versions of NPCs that the players have met, or even "evil" versions of the players themselves. Deceased characters may still be alive in the Meer, or living characters may have passed away. The best part of having the players fight dark versions of themselves or other NPCs, is that you already have the stats for them. Just tweak the spells to be flavored a little more evil, weapons to be a little more menacing, maybe heals damage instead of heal, or horses become wargs and drakes. The final boss or enemies of the adventure should definitely be an anti-party consisting of the evil versions of your party. Be careful, because as a DM with a firm handle on the rules, it would be very easy to completely wipe your party by using exact duplicates of them. You may want to have something happen to weaken the baddies or strengthen the good guys, or just see if your party has what it takes. One last variant that I'd like to mention, could definitely make things interesting. In the Meer, it's possible that the rugged, alternate history has caused the "goodly races" like humans, elves and dwarves, to become evil. This makes me think that it is possible that some of the dangerous monsters that roam the world might not be as evil here. Maybe goblins, orcs, trolls and giants are actually the good guys here, incredibly discriminated against, and driven to the dark edges of society, hiding in caves and forests. This was the first adventure idea posted here. I'd love to hear from someone who took these ideas and made it their own in some way. I'm not sure if I'll stick to a loose format like this, or get tighter with the formatting, but I hope you liked it. And the evil goatees are optional. On Saturdays, or maybe weekends in general, I plan to have a grab bag of posts that don't fit the constraints of the other series. This post will hopefully mark the first post of the Saturday Grab Bag. Sometimes when I am running my table, the players have traveled faster than I intended, while the destination isn't fully prepped as much as I would like. Sometimes, I've even had to postpone a session because of this, but I really don't like doing that, getting a group of six people with full time jobs together can be a real struggle, so if we're all free I like to have at least something happen at the table. The last time this happened I came up with the idea for Torm's Holy Arena. Back then we were running a weird improv version of Hoard of the Dragon Queen that I plan to go over at a later date. On a side note, I really love buying premade campaigns and adventures, but I never run them very close to the intended story line. I improv around the story. I like them because they create a good context for what could be happening around the world during the campaign. I usually start the way the book intends, but then I give the players absolute freedom to go off in whatever direction they want. My players right now are on the run because they slaughtered a group of dragon cultists when they weren't supposed to, and the witnesses saw them as cold-blooded murderers. I also enjoy buying the books because I like to read the story, get ideas for encounters, and just feel immersed in someone else's lore for once. Invented to fill a session in that campaign. The party had entered Elturel, a town filled with many paladins and worshipers of Torm. It had been a slow previous session, so I wanted to include some fun combat for them, but without going on too big of a tangent from their current path. A very hedonistic paladin who mentored one of the players introduced them to the arena. He had had it built years before as an attempt to turn adventuring into a sort of spectator sport. Many before him had attempted to create a coliseum-style arena for the common folk to watch adventurers hack and slash at each other, but it had never quite worked out. The problem was these adventurers were too unwilling to fight each other in such a high-risk, low-reward scenario. Why would an adventurer fight to the death against other highly-skilled adventurers to get fame and wealth, when he can achieve those goals fighting badly organized goblins, or saving a farmer's daughter from a cluster of Owlbears? Attempts were made to create a non-lethal arena, using dull swords and flat-tipped arrows. But this prevented the magic-users from participating. It is difficult to remove the lethality from a lightning bolt, or fireball. The paladin, despite his hedonism, was a very pious man. He knew of many resurrection spells, granted to him from his god Torm. Many paladins and clerics from across the region came together to imbue an arena with intrinsic resurrection abilities, and Torm's Holy Arena was born. When an adventurer dies in the arena, right before their living essence were to leave their body, the holy power of Torm returns the spirit to the body, mends and issues, and transports the adventurer to just outside of the field. Such a feat is very expensive and difficult, and adventurers need to be blessed before hand by local clerics, and fight without anger or hate in their hearts. Elturel is proud to proclaim that the arena has a nearly perfect success rate. This is a week of firsts over here at the Master of Dungeons blog. Today we have our first roll table. How exciting! Every DM loves roll tables. Sometimes there are so many creative surprises that you can think of off the top of your head. When the players do something you didn't plan for, or you have a bad case of Dungeon Master's Block, that means it's time for a roll table. This week we have Who's sitting at the next table over in the tavern? Feel free to print this sucker off and use it when you want to liven up the local establishment. I like to check off lines that I've used before, so I can continue using the table in the future. If you hit an item you've used before, that doesn't fit, or you just aren't feelin', just re-roll. 1 A particularly scrawny gnome is betting anyone who will listen that he can beat them in an arm wrestle. He is beating all of the patrons in the bar. When it gets later in the night, in the middle of an arm wrestle his image flickers, and is replaced by a tall, muscular human. His wizard friend had been using illusions to make him appear as a gnome, but has now passed out drunk. 2 A newly accepted dwarf acolyte is trying to explain to his priest that a vow of sobriety goes against his cultural heritage. 3 A man is quietly sitting at the table with a quill and parchment, angrily muttering about writer's block. 4 Two drunk humans are talking loudly about how humans are the only worthy race in the land, they shout that nothing is worse than a non-human, except half-humans. 5 An elf bard begins to play an energetic, upbeat drinking song on his lute. The bar quickly joins in and starts singing and dancing along. What they don't know is that the bard's halfling accomplice is using this distraction to steal anything that she can get her hands on. 6 A high-elf dignitary who is passing through town is becoming increasingly outraged at the server as she once again explains their lackluster wine menu. 7 A human family from a distant land is attempting to purchase a room and food, although they don't speak Common, they speak a dialect no one has heard of. They also don't have any valuables or currency. 8 Five elves are sitting at a table staring straight ahead, not saying a single word. They don't respond to any questions and sit there until the end of the night before leaving. 9 A hunched, withered old woman with a long crooked nose and a black robe sits at the table alone with a fresh, homemade apple pie. She offers anyone who glances her a slice of the pie. Many patrons of the bar assume she is a witch, but in reality she is an old woman who likes to bake, and is getting increasingly disappointed that no one will try her dessert. 10 Two dwarves solemnly sit at the table silently drinking ale. It is obvious that they've both recently had their beards shaved off. They are unwilling to talk about it if anyone asks, but the truth is that they were robbed by highway bandits in the night, and although they lost a near fortune in metals and gems that they were transporting, they are the most upset about the loss of their beards. 11 A fat man is hiding something in his meaty hands, and nervously tries to gaze at it when he thinks no one is looking. He has captured a fairy in a glass jar. 12 No one. The bar is completely empty of any other people, except for the barkeep, who is running around wiping tables and washing dishes, grumbling about how busy it is and he has to time to relax. 13 An beautiful man and woman sit at the table. Although sitting together they don't seem to be together romantically as both are trying to hit on anyone within earshot. They each seem very interested in a different member of the party. Unknown to the party they are succubi and are trying to lure victims into the woods to steal their souls. However these succubi are very new at the job, and aren't very good at it yet. They will flee if attacked. 14 The cook is attempting to explain to a drunk dwarf that not only do they not serve cat there, but even if they did, they wouldn't slaughter and prepare an animal that a customer brought inside in a knapsack. 15 A human and a dwarf are having a drinking contest. What the human doesn't know is that every time he steps out to relieve himself, the dwarf changes places with a different dwarf in the bar, and the human can't tell them apart. 16 A man in a long coat is standing at the table. Any close look reveals that the man is actually a halfling standing on another halfling's shoulders attempting to blend in as a human. 17 An incredibly attractive elvish woman/man strikes up a conversation with the party. It quickly becomes obvious that they are very interested in the member of the group who is responsive to their advances. 18 Six drunks of various races argue over which of their patron gods would win in a fight. 19 Two human men sit at a table across from two beautiful elvish sisters. Both of the men wear long robes. One of the men has his hood up and is wearing a false beard, and the other keeps glancing between him and the women, nervously. An easy perception check reveals that the hooded man is a skeleton dressed up as a normal man. The human necromancer sitting at the table had been told by one of the elf sisters that they could go on a date if he found a date for her sister. At the last hour he got desperate. 20 A group of three halflings wearing tattered rags sit with their hairy feet on the table, smoking and passing around a golden, gem-encrusted pipe. They've pick pocketed the pipe from a rich nobleman who is passed out at the bar and couldn't wait to give it a spin. This is the first installment of our hopefully long-running series of Non-Combat Magical Items. Players love to receive magic items, and it's a great way to reward players for beating a dungeon, defeating a foe, or saving a village. However, too many magical +2 Lance of Goblin Explosion's can leave a party overpowered. This is especially true now in the world of Fifth Edition. Some DMs have introduced something called "Mundane Magical Items" to their tables. These items aren't as strong as some of the glimmering, vibrating swords of the past, but they are still usually aimed towards a strong combat utility. I've decided to take things a different direction at my table. In a magical world filled with dragons, genies, and portals to another dimension, I believe that there would be items that don't feel most at home on the battlefield. These items need not be only trivial magical implements like self-writing quills, or mirrors to help a dwarf with his self-esteem, they can rival the power of their magical sword and bow brethren. As an added disclaimer, I don't refer to these items as "Non-Combat Magical Items" in front of my players. The title isn't so much a rule as it is a design philosophy. As you'll see with our first entry in the series. This parcel of parchment paper tied with twine reveals five coloured pieces of chalk when opened. A small, unidentifiable rune is etched into the side of each piece. You can use an action to draw a door with a piece of chalk onto any smooth, flat surface. At the end of the action that piece of chalk crumbles to dust. When a door is drawn, a magical portal to a demiplane appears in its place. This door remains open for one minute. It leads to a five square kilometer demiplane that takes on the appearance of a quaint village on a hill. There are enough houses and beds to comfortably live 100 average humanoids, although some races enjoy crowded living conditions more than others. There are magical food stores that will sustain anyone within the demiplane. A small keep exists in the middle of town, with rudimentary supplies and weapons. After one minute the door disappears, locking the inhabitants inside. After another minute on the plane of origin, the door opens again, staying open for one minute. Anyone or thing that is left inside will find themselves safely materialize in an open space near the door when the door closes. Anything originating from within the demiplane will disappear instantly upon passing through the doorway. Any living thing born within the demiplane is able to leave safely. The chalk comes in five colours. Although one minute passes on the original plane, those inside the demiplane will find that time passes by at a different rate, depending on the colour of chalk that was used to draw the door, as shown in the list below. This is the first post of the ongoing blog about the art of Dungeon Mastery. I play the fifth edition of Dungeons and Dragons (and I highly recommend you do too, it is fantastic). However 90% of what I write here will be system-agnostic. I definitely prefer writing about flavor, inspiration, and ideas, than I do about complex multiclasses, homebrew enemies, or anything like that. I plan to have short posts come up frequently. How frequently remains to be seen. Please comment and give feedback about what works for you and what doesn't and we can sort out the type of content that works. However, here is a list of the type of content that will be released in the foreseeable future. Session Reports - Stories about games from the past. I'm interested in receiving reader submissions for these as well. Non-Combat Magic Items - I am a huge fan of non-combat magic items. My players tend to be very skilled in combat, and while I give them the +1 shortsword that they so desire from time to time, I love to mix it up with items that aren't designed for combat. The name may be a little misleading, because although the items aren't designed for combat, many clever players are able to think of relevant combat situations for them. I find these items are a great way to make players feel like they live in a magical world, without turning them into unstoppable killing machines. Adventure Concepts - Here I will layout adventure concepts that you can use at your table. These may be best suited for a full campaign, or something small to throw at your players while they travel from A to B.
NPC of the Week - Everyone loves Non-Player Characters. They're what make roleplaying fun and memorable. I will try to post at least one NPC a week that can be plopped straight into your game. Random Roll Tables - What D&D blog would be complete without roll tables? We all love 'em, a little chance keeps things around the table fresh. This isn't a comprehensive list. Hopefully some of you reading this stick around and check out what we have in store for the future of the Master of Dungeons.